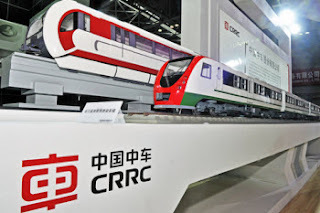 Things To Do In Los Angeles: Subway Cars for Red/Purple Lines From China? Really gotta love how the Metro tries to make it positive that the new subway cars that we''ll be eventually getting for the Red/Purple Lines will be made in China, specifically the China Railway Rolling Stock Corporation. The Source, recently blogged about how there will be new cars for our Metro and it's underwhelming as to why they seem so proud of it. But, it gets weirder as the subway cars aren't finished. So, parts for these new subway cars will create fifty local jobs (temporary). So, The Metro can't spout some nonsense of made in America or creating local jobs. Sometimes you really wonder about the management of The Metro. Multiple questions arise. 1. Why not make the whole thing locally? 2. If it can't be made locally, why not at least made in the US? 3. If it cost is so much locally to make the shell of it, why waste money on building the local parts? Wouldn't it be cheaper for those to be made in China too? Are current subway cars are from Japan, Italy and Germany. Why Metro decided to go with a completely new company might be an issue on saving money. That raises questions on safety. China doesn't have a great record with their transportation and infrastructure. This doesn't seem like the greatest course for new cars in preperation of more travelers during the Olympic games in the next decade. We might want to call it now, we see massive problems in the future of having to deal with these cars and problems accruing with dealing with the Chinese company.